NIEHS staff and grantees shared their expertise and discussed ways to address pressing environmental health issues at the Pacific Basin Consortium (PBC) conference and its satellite symposia, November 12-17 in Delhi, India. 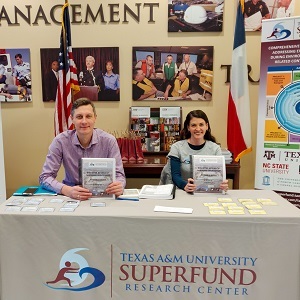 The conference was sponsored in part by the NIEHS Superfund Research Program (SRP). 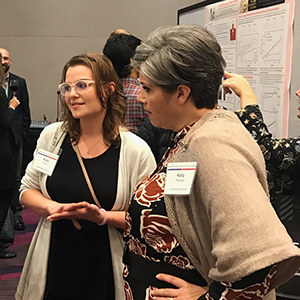 Organizers invited scientists, engineers, policy-makers, industry representatives, and government officials to present research and discuss effective, affordable solutions to problems of environmental contamination. With the theme of Environmental Health and Sustainable Development, the meeting centered around solutions and sustainable policies for managing environmental and health issues around the world. 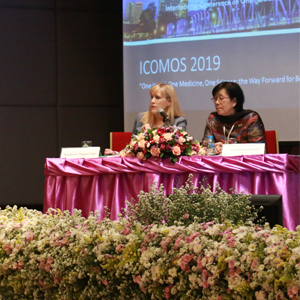 Experts from the U.S., India, the Pacific Basin, and beyond spoke on topics such as understanding the risks of air and water pollutants, and managing and reducing exposure to hazardous waste. 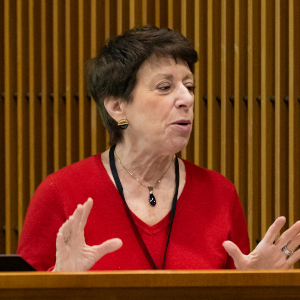 Gwen Collman, Ph.D., director of the NIEHS Division of Extramural Research and Training, presented information on NIEHS efforts to characterize the exposome, or the measure of all exposures of an individual throughout their life. Drawing on NIEHS-funded studies, she described the value of defining the exposome over time. Collman’s talk sparked a discussion about examining individual data within existing study groups, to see if levels of chemical exposures change across life stages, which may affect health outcomes. Before the PBC meeting, the NIEHS Global Environmental Health (GEH) program and SRP co-hosted a symposium to coordinate international, regional, and local initiatives to prevent children’s exposures to environmental contaminants and protect their health. The workshop highlighted why children are more vulnerable to exposures and outlined unique risks associated with specific environments. 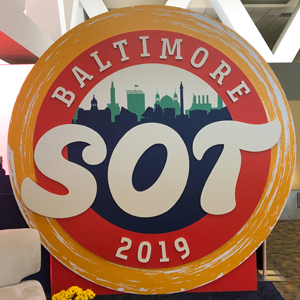 “As a result of the meeting, we now have more countries that want to participate in this children’s environmental health network to reduce exposures and prevent disease,” said Brittany Trottier, an SRP health specialist. The week ended with a day-long symposium, also co-hosted by GEH and SRP, that focused on electronic waste, or e-waste. In many countries, burning or dismantling e-waste to recover marketable components, such as copper, results in contaminants entering the water, soil, and air. NIEHS is leading the effort to develop strategies to understand, prevent, and treat the associated adverse health effects. Presenters described case studies to reduce exposure to e-waste in Ghana, Uruguay, China, Myanmar, India, Sri Lanka, Thailand, Indonesia, and the Philippines. A panel of experts discussed ways to implement these strategies in other regions. They also discussed additional e-waste concerns that need to be addressed moving forward. On the first day of the PBC, the Lancet Commission for Pollution and Health launched their recent report in India. The report estimated that India had the highest number of pollution-related deaths worldwide, with approximately 2.5 million premature deaths in 2015 due to diseases linked to air, water, and other forms of pollution. “At the PBC meeting, we talked to a lot of researchers from India who were very interested in our work and are exploring ways to reduce pollution and improve health in India,” Heacock said. According to the study, the 2.5 million deaths break down to 1.8 million related to air pollution, 0.64 million to water pollution, 0.17 million to occupational exposure, and 95,000 to lead pollution. NIEHS researchers at the meeting talked first-hand with Indian researchers who are working to find innovative solutions to India’s complex pollution problems. The aim of the Lancet Commission is to raise global awareness on pollution, end neglect of pollution-related diseases, and mobilize resources and political will to confront pollution.